Nike Zoom Janoski - "Tiger Stripe"
A wild multi-color tiger-striped Janoski appears to be on the way. 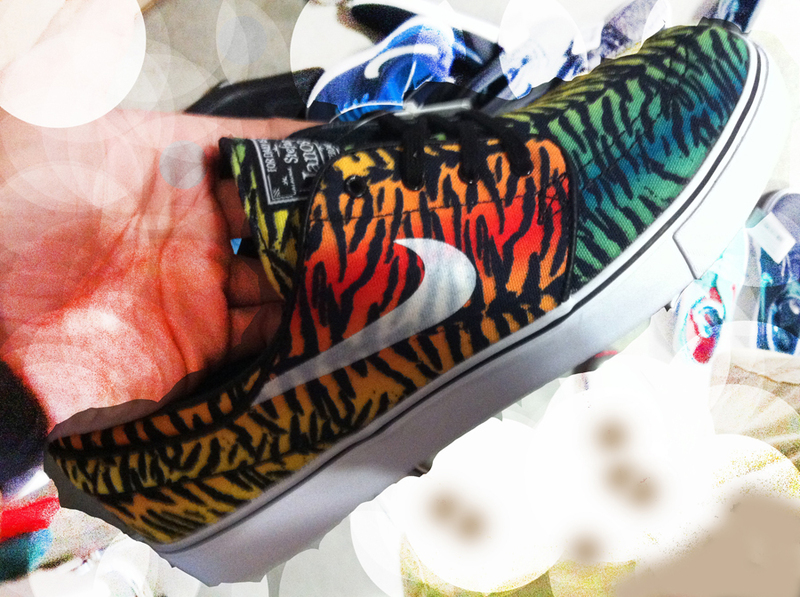 The usually subdued Nike Zoom Janoski gets its wildest look ever, with this multi-color tiger-striped print. This version of the ever-popular Stefan Janoski skate shoe features a canvas upper adorned with an array of colors under black tiger stripes. There's no word yet on a release date, but rumors are that these are expected to be a Spring '14 release. Take a look at the preview below via N-SB, and share your thoughts on this eye-catching new take on the Zoom Janoski.